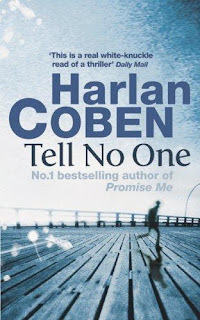 'Tell No One' reads more like Sidney Sheldon than Harlan Coban . Elizabeth Beck was murdered a good 8 years ago and her husband Dr David Beck has never been able to get over the gruesome incident which happened almost a decade back.Suddenly,a mysterious e-mail lands up in his e-mail and soon, David realizes that his past is back to haunt him once again. With twists and turns happening at regular intervals,'Tell No One' is an absolute page turner! The 2006 French Thriller was based on this book.